Dental implants are the strongest restoration method for missing teeth. Composed of titanium screws that fuse with the jaw bone, they act as artificial tooth roots to serve as an anchor for a dental prosthetic. They can support individual crowns, multiple crowns, or even a set of dentures. Because of strength, they have the ability to restore chewing function and can even help correct speed problems resulting from missing teeth. 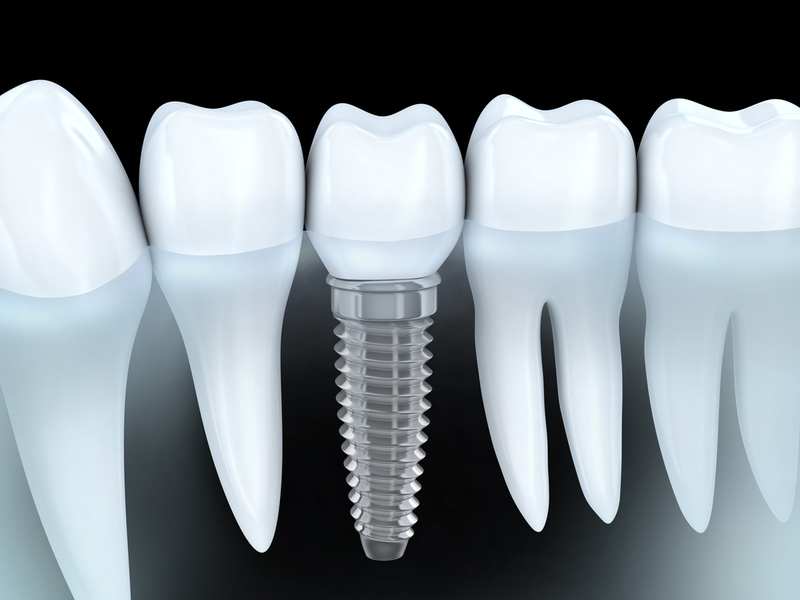 Dental implants have one of the highest success rates of any dental procedure. In fact, 98% of dental implant placements are deemed successful by dentists and their patients. If you have one or more missing teeth, then you may be a candidate for dental implants. Ideally, you should also have good overall and oral health before undergoing a dental implant procedure. Finally, you will need to have adequate bone mass in the area you wish to have implants placed. To find out for sure if you are a candidate for dental implants, schedule a consultation with our office today! What should I expect from the implant process? Your dental implant experience will vary depending on your individual case, however there are some general trends to most treatments. Your dental implant process will begin with the initial consultation where our dentists will examine your teeth, take x-rays, and discuss treatment options with you. Then you will return at a later date to have your implant placed. During your implant placement, you will be under dental sedation and anesthetics to keep you comfortable and relaxed. For this part of the treatment, our dentists will make an incision in your gums in order to get to the jaw bone, then insert the dental implant into your jaw. Once this is completed, your gums will be sutured up. After implant placement, you will need to wait approximately 3-6 months for the dental implant to fuse to the surrounding jaw bone. Once the bone has fused to the implant, the dental prosthetic can be safely attached. At this point, you will return to our office to have impressions taken and sent to a dental lab to fabricate your custom dental prosthetic. The prosthetic will then be attached to your dental implant and your smile is complete! What should I expect after dental implant treatment? After the initial implant placement, you will most likely experience some minor swelling and discomfort. You can use ice and pain medication to alleviate this and it usually subsides a few days after your implant placement. In the first few days following your implant surgery, you will also want to eat a modified diet of cold, soft foods and warms soups to let your mouth recover. Then, you can gradually work your way up to harder foods. Once your dental prosthetic is placed and your dental implant procedure is complete, you will be able to enjoy a regular diet and the new functionality of your dental implant. How long your dental implants last depend on the quantity, type, and location of your implants. If well taken care of, dental implants have the ability to last for approximately 10-20 years, however this can vary depending on the aforementioned factors. In order to keep your dental implants lasting for as long as possible, you will want to practice good oral health habits. These include brushing twice daily, flossing once a day, and visiting our office at least once every six months for a dental checkup. 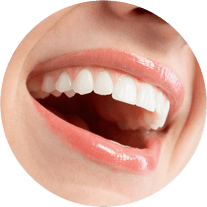 While dental implants tend to have a higher initial cost than other restoration methods, they offer the best results and restore the highest level of function. They are also much stronger than the other restoration methods, meaning that they can endure more wear and tear and will not have to be replaced as frequently. To restore your smile through the use of dental implants, call our office today and schedule a consultation! Fedorciw, Massoumi & Kolbig are happy to serve patients in Cromwell, Middletown, Rocky Hill and other surrounding areas in Middlesex County (including Berlin).